The Dreaming Giant, ISBN: 9783791372792 - available from Nationwide Book Distributors Ltd NZ. 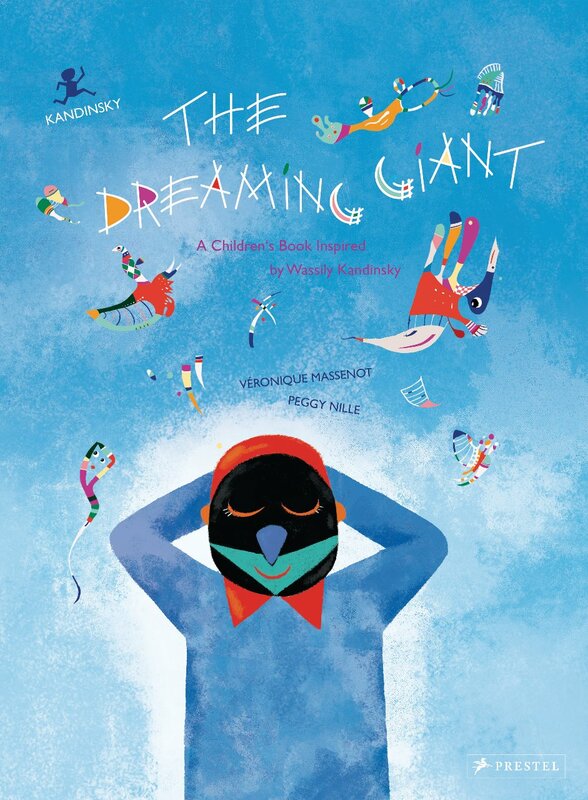 One of Wassily Kandinsky’s most fantastical and vivid paintings is the foundation for this children’s book about a journey into the heart and mind of a sleeping giant. Inspired by Wassily Kandinsky’s 1940 painting, Sky Blue, this delightful children’s book delves into the kaleidoscopic mind of a sleeping giant. Author Veronique Massenot and illustrator Peggy Nille interpret Kandinsky’s abstract characters as the somnolent visions of a giant who stumbles into a village of microscopic townspeople. Though the villagers initially fear the enormous stranger, they soon discover a gentle soul through his beautiful dreams. With its brightly colored palette and playful drawings, this wonderfully imaginative book echoes Kandinsky’s lively style. As young readers explore the wonders of the miniature villagers’ world and the colossal giant’s imagination, they will be inspired to find their own way around Kandinsky’s enigmatic masterpiece.